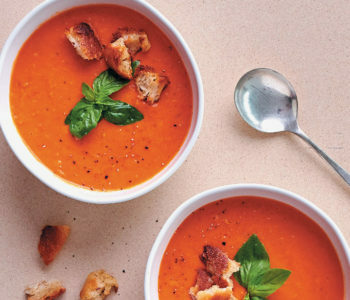 This quick and easy dinner recipe only takes 30 minutes to make! 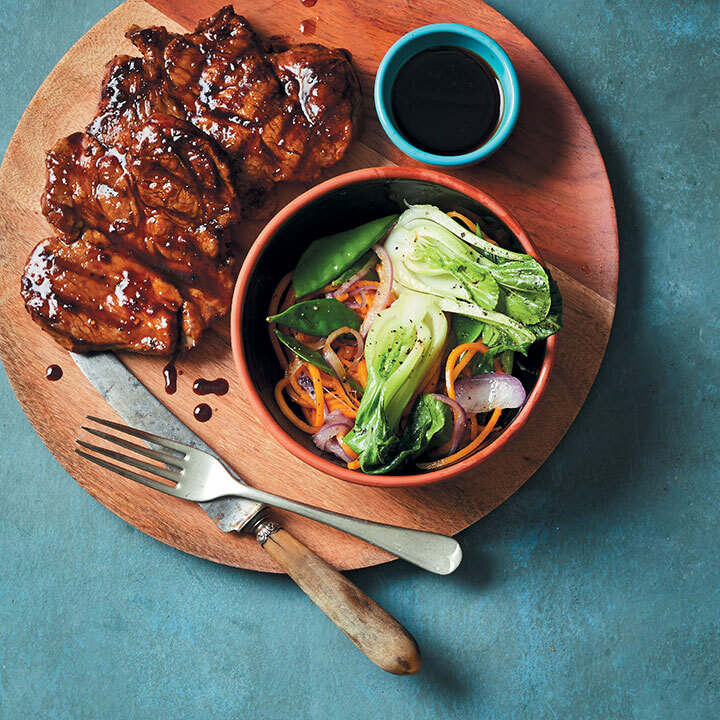 For the pork steaks, place the teriyaki sauce, honey, garlic, ginger and chilli in a large bowl. Whisk until well combined. Add the rib-eye pork steaks and set aside to marinate, about 20 minutes. Heat a griddle pan over high heat. Place the steaks in the pan and grill until slightly pink in the centre, about 3 – 5 minutes per side. Use a basting brush to spread leftover marinade over the steaks as they grill. Remove from heat and set aside until needed. For the stir-fried veggies, heat the sesame oil in a large frying pan over medium heat. Add the vegetables and fry until cooked, about 5 minutes. Serve the rib-eye pork steaks with the stir-fried vegetables alongside.